Teachers do not like chewing gum in the classroom, unless you are completing a science project on the subject. Chewing gum has many properties from the flavor to the ability to aid in concentrations and even kill bacteria in your mouth. Creating science projects experimenting on different aspects of chewing gum is simple. The only downside is your jaw might get sore from chewing so much gum. Experiment to see whether the act of chewing gum during a test will help increase concentration. Select two groups to complete the test. The groups need to be evenly distributed between boys and girls and also of ability level for the test that will be given. One of the groups will be the control, and its members will complete the test without chewing gum. The second group will be the experimental group and will chew gum during the test. A good subject to test is basic math, such as addition and subtraction questions. To determine if the gum aided in concentration, measure not only how well groups did on the test but also record the time it took to complete the test for each group member and group. Cinnamon chewing gum contains cinnamon oil, which is known to kill microbes. Test to see which cinnamon chewing gum kills the most bacteria in your mouth. Purchase a few brands of cinnamon chewing gum to test. Before each experiment, swab your mouth and place the swab on a petri dish. This is the control to see the amount of bacteria in your mouth. Chew the gum for 10 minutes and swab your mouth again and place the swab on a new petri dish. Incubate the petri dishes for 24 hours and count the bacteria colonies present on the dishes. Repeat for each brand of chewing gum. It is advisable that a period of a few hours pass between experiments so that the bacteria level can increase in your mouth. Many brands of gum state they have the longest lasting flavor. This experiment will put the claims to the test. Purchase a number of brands of chewing gum that claim long-lasting flavor. Chew one piece of gum, keeping track of how long it takes for the flavor to be gone. It is important to chew each piece of gum at as even a pace as possible. Have two or three additional people complete the experiment with each brand of gum to get more pieces of data to determine which gum lasts the longest. Chewing and bubble gum reduce in size as the gum is chewed. Check the decomposition rates of a number of chewing gum brands. Weigh each piece of gum before chewing and then chew the gum for a predetermined amount of time. Weigh the gum again after chewing. Repeat the experiment but increase the length of time the gum is chewed. Complete the experiment on various brands of gum. Compare the pre-chewed weight to post-chewed weight to determine the percent of decomposition. When is the percent of decomposition greatest? Which gum had the least amount of decomposition? Selah School District: Does Chewing Gum During a Math Test Improve Test Scores? E, Michael. "Science Fair Projects on Chewing Gum." 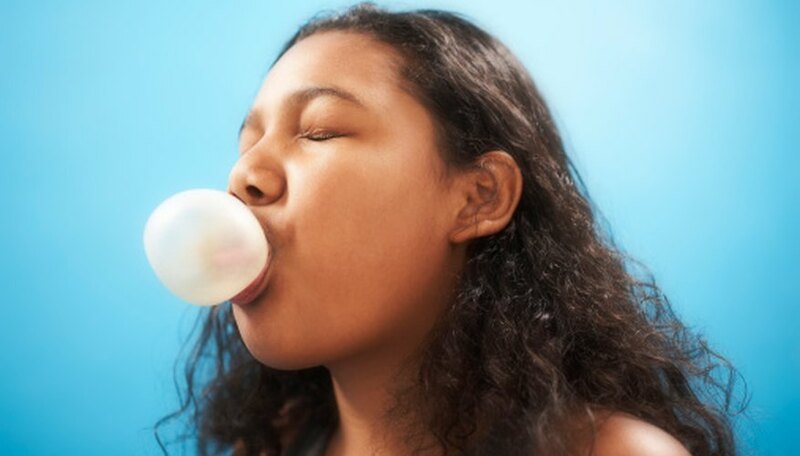 Sciencing, https://sciencing.com/science-fair-projects-chewing-gum-8146764.html. 25 April 2017. Science Projects: Which Cheese Melts Faster?